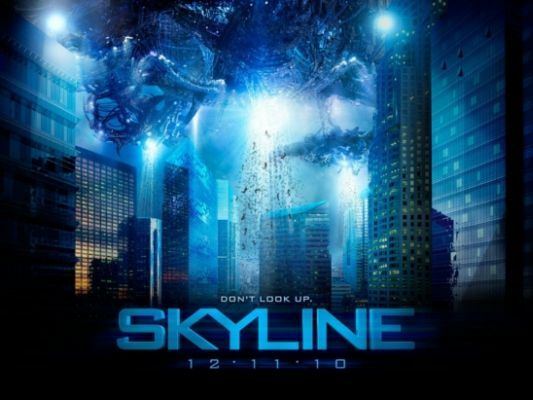 I was able to watch the ambitious new science film thriller last night, Skyline. The film should be commended considering it was reportedly made for $10 million dollars. The special effects alone were impressive considering that limited budget. 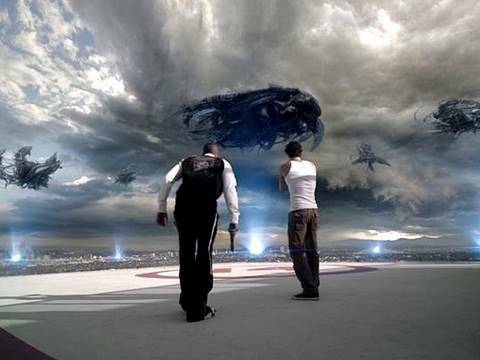 This film, following the often used plot formula of the sudden appearance of an unfriendly alien force that is abducting humans for a sustenance source, it had the promise of putting a very deep spin on the plot and make it one of those great science fiction film works. Instead the plot line spiraled downward to an almost cartoonish ending. Scene from the film "Skyline"
It was disappointing to me. The filmmakers lacked the ability to produce the kind of meaningful overarching theme that good science fiction can bring with its stories. If you like good visuals, catch a matinee, because some of the scenes deserve a big screen treatment to be fully appreciate them. The acting is pretty B-rated. Overall, Skyline has some “Wow” moments for special effects and dud moments for plot. Your review confirms what I thought when I saw the trailers…I think I’ll skip this one.